If you haven’t already been on Pinterest yet – be warned – its sooooooo addictive! We have spent many hours scrolling through and finding things we love. This regular feature will be us attempting a variety of projects that have captured our Pinterest! Hehehe! So the first project we will attempt a combination of two pins that we found. It is to make a little girl’s tutu skirt. We found a pin for a tutu dress and a pin for making a tutu skirt. We liked the skirt design and preferred the crochet headband waist – hence the combination of the pins. And here’s the end result…what do you think? 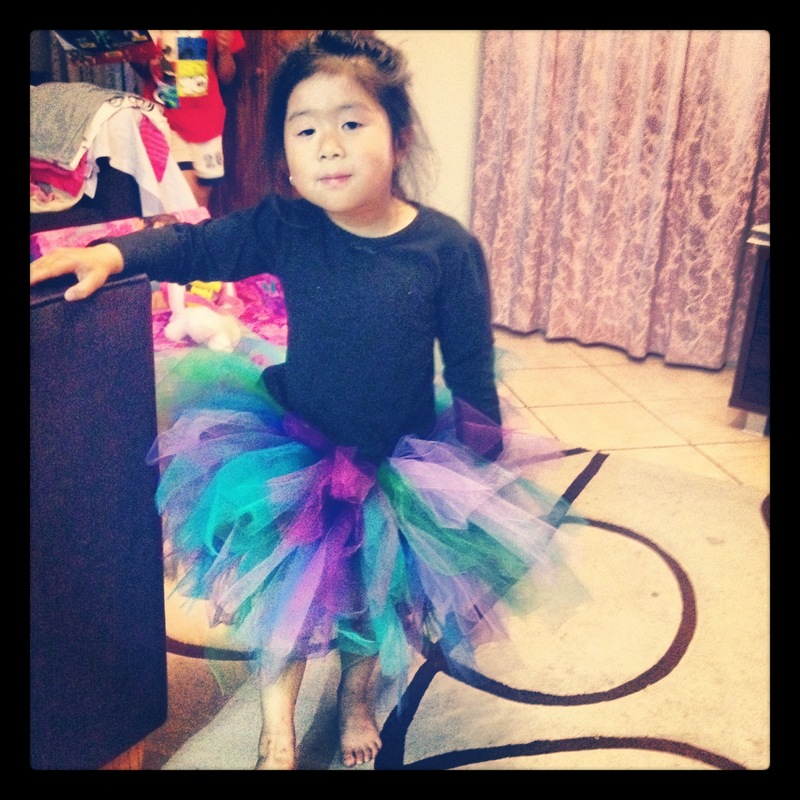 Thanks to Mischa for modelling the tutu for us! Inspire Me Monday….Let’s get this started! So with our first post in this feature – here is our item. It’s a pair of pajama ‘satin’ bottoms we got at the Fairfield Markets Swap Meet. We just love the pattern and the playful colours! So tell us…What do you think we should do with this discarded item? Inspire us with your ideas of how we can restyle this into something new. 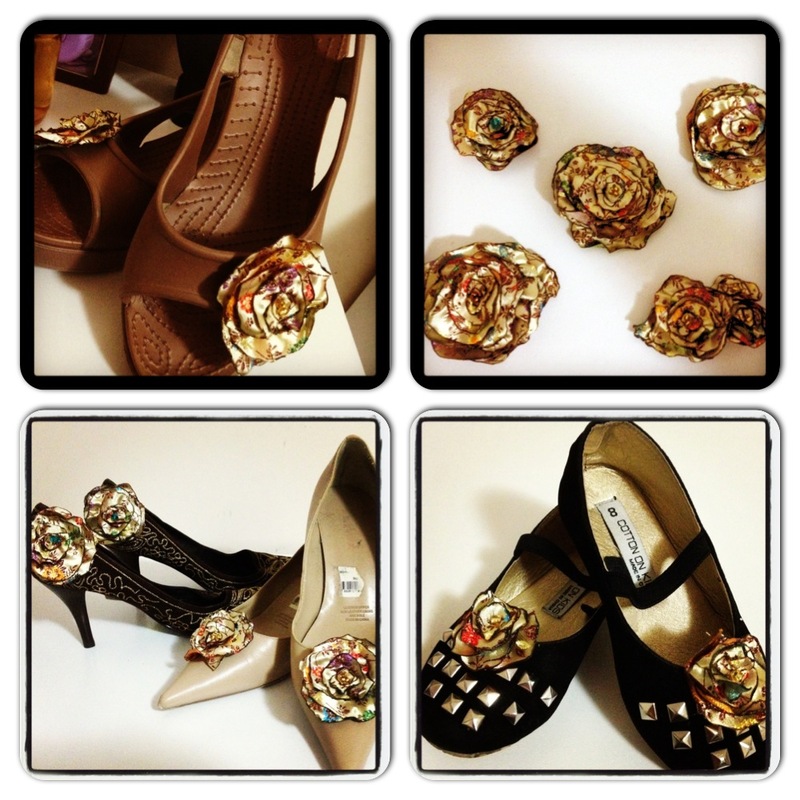 So what is upcycling? Basically it’s taking an unwanted item and making it better – the folks at upcyclemagazine.com say it best. We call it Restyling! Since our last post, I’m yet to go through our big bag of goodies from Flemington Market so thought I would upload some things we have made from our last trip to Flemington Markets. I found a beautiful large cushion cover – unfortunately I didn’t take a photo of the original item 😦 At first I wasn’t sure what I was going to do with it – I was thinking of making a little dress out of it for my 7 month old niece and then I decided to use a little piece of it to make some flowers for the restyled disco shoes I was making. 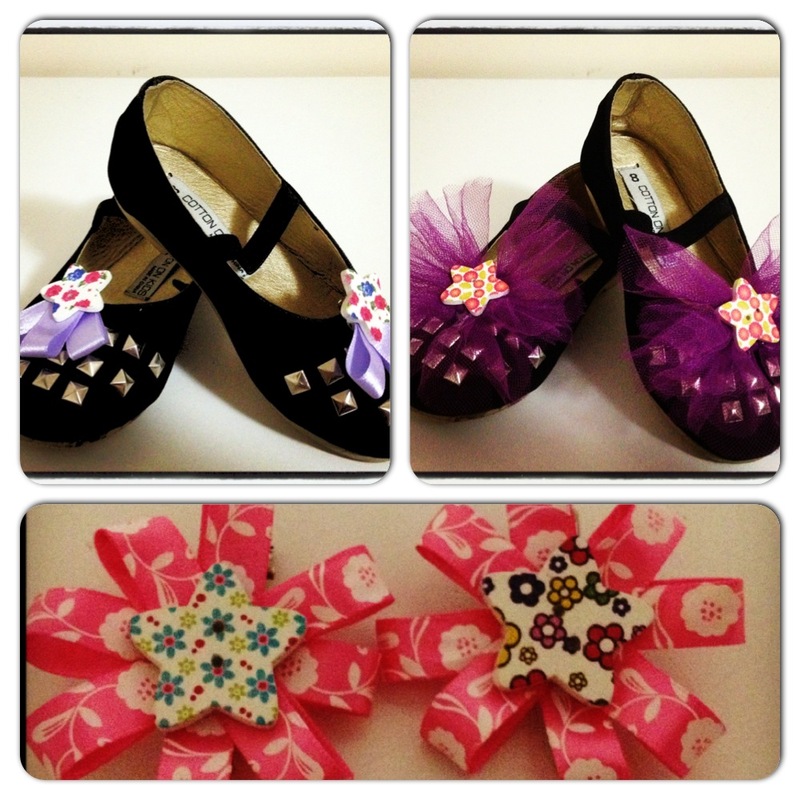 Since then I decided to make shoe clips and hair clips from the left over material. I then restyled some of the decorations from my other niece’s recent 4th birthday and made some shoe clips and hair clips. This is our first blog! We are still getting the site together – slowly but surely! 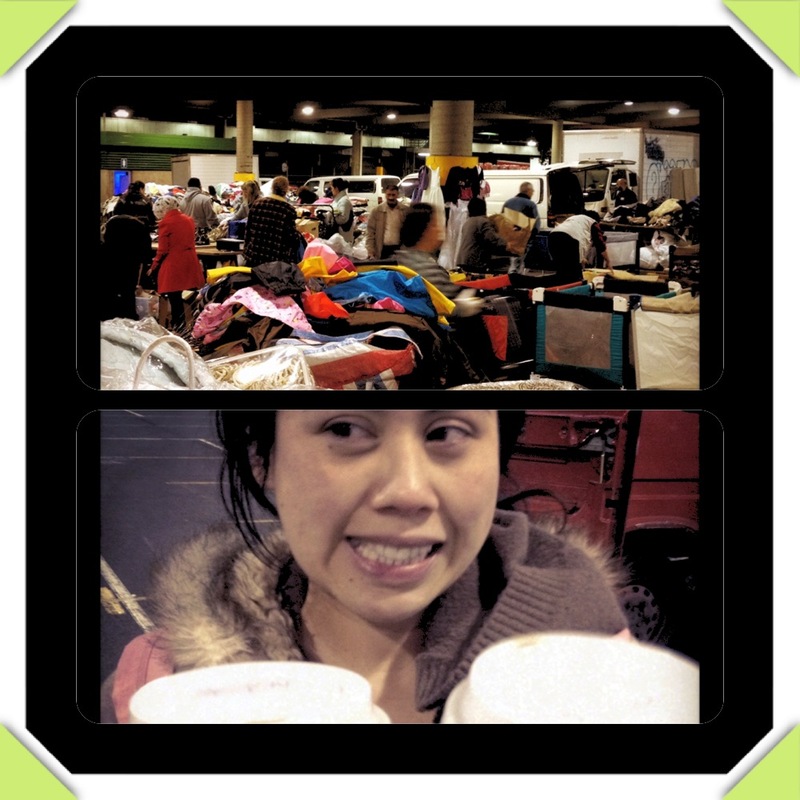 On Friday night (ok it was Saturday morning at 2.30am) I went to the Flemington Markets Swap Meet with my little sister. We go around once a month and dig through what they have to offer and every time we walk away with bags and bags of pieces and a head full of inspirations of what we will do with our new treasures. 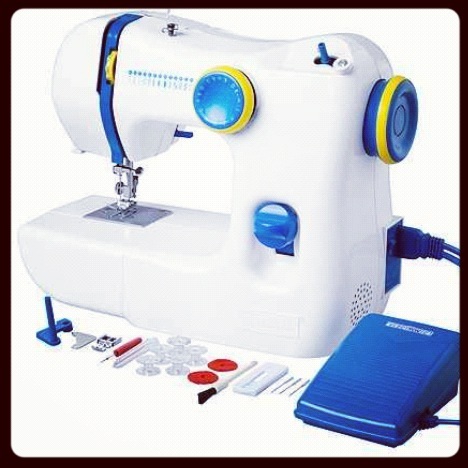 Then to top off my weekend on Saturday we went to Ikea in Tempe and I got myself the SY Sewing Machine…it’s so cute and functions nicely. 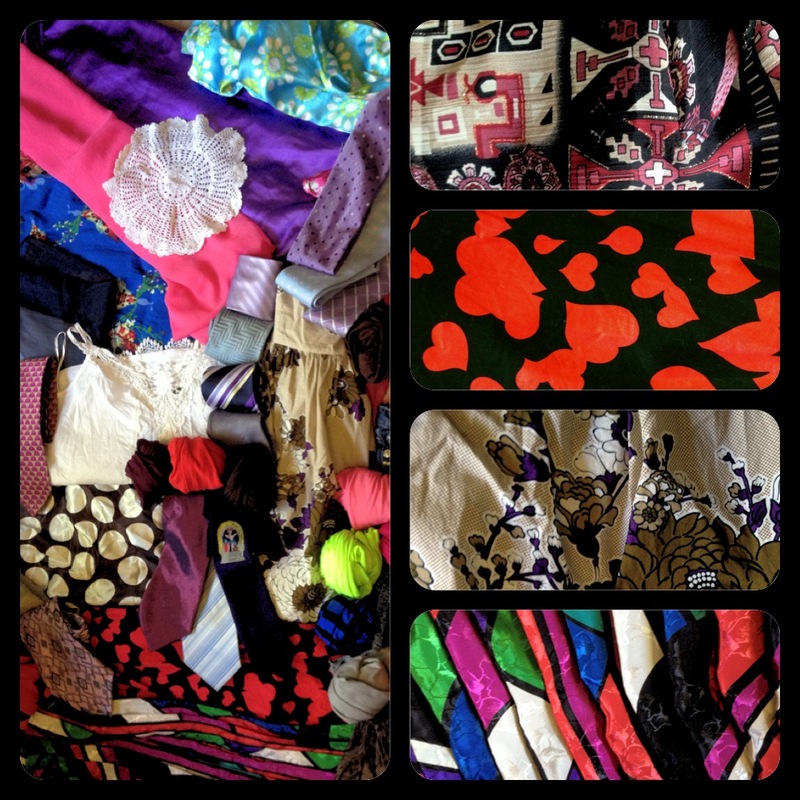 My head is overflowing with ideas of what I will do with all my new goodies. 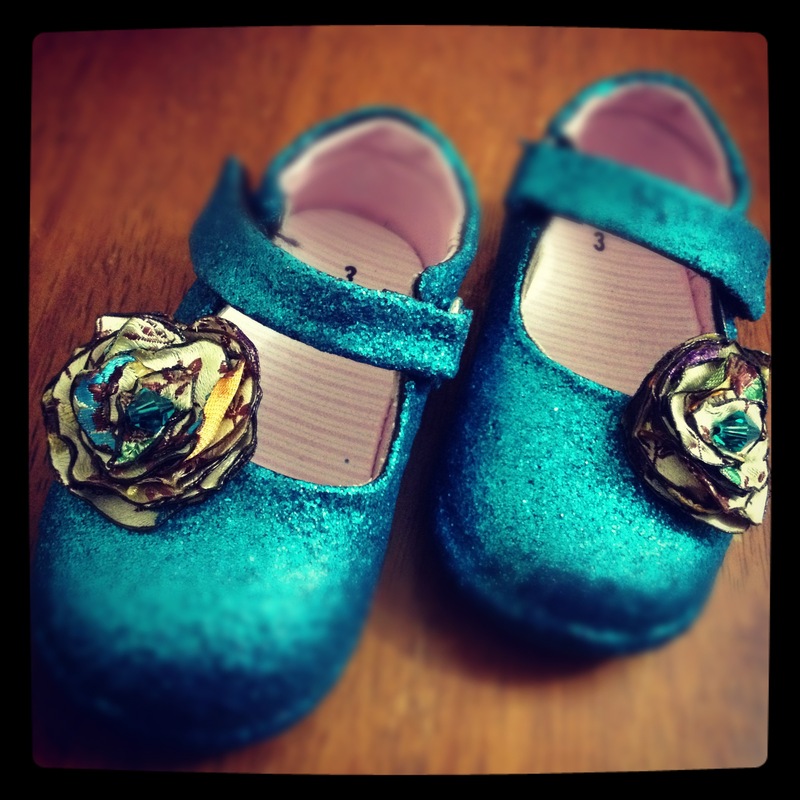 Thank you for reading and please come back to visit our blog and we’ll show you our creations as we make them.